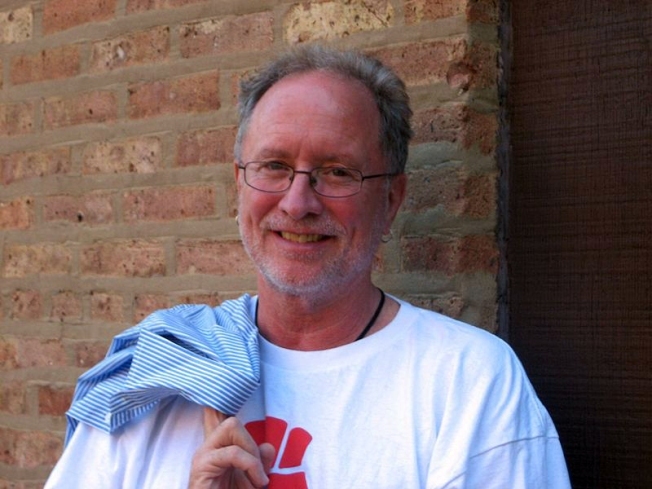 Controversial activist, professor and author Bill Ayers was videotaped recently giving advice about non-violent protesting to Occupy Chicago protesters. Filmed last month by Education Action Group, EAG-TV, and posted on their YouTube page, the video shows Ayers teaching a group of protesters in a "teach-in." Ayers made headlines in 2008 when his connection to then-candidate Barack Obama were crystallized -- perhaps most notably -- by Sarah Palin who accused Obama of "palling around with terrorists." During the teach-in, Ayers preached inclusion. 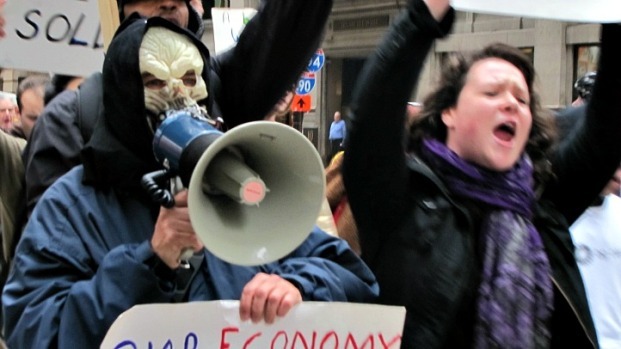 When asked if violence was a necessary step to increase the Occupy movement, Ayers tells the listeners violence is not the answer instead protesters should use their brilliance, humor, wisdom and body to "dramatize the violence that exists". "We do not live in a neutral, non-violent. Not when there is a trillion dollar military budget, the biggest in the world. Not when they are recruiting kids to be in the service. Not when every athletic event begins with guns and marching. That's a violent culture and that is where we live," said Ayers. "A real revolution involves the masses of people transforming themselves and that is going to require a hell of a lot more than your gun against the some other guy's gun." Ayers continues to say the transformation should happen in the head, heart and on the street. He does question how citizens are to remain non-violent, when the government participates in warfare and military actions. Ayers also tells protesters what makes "an organizer different from an agitator is to talk with strangers", speaking of communication between the Tea Party and Occupy movements.